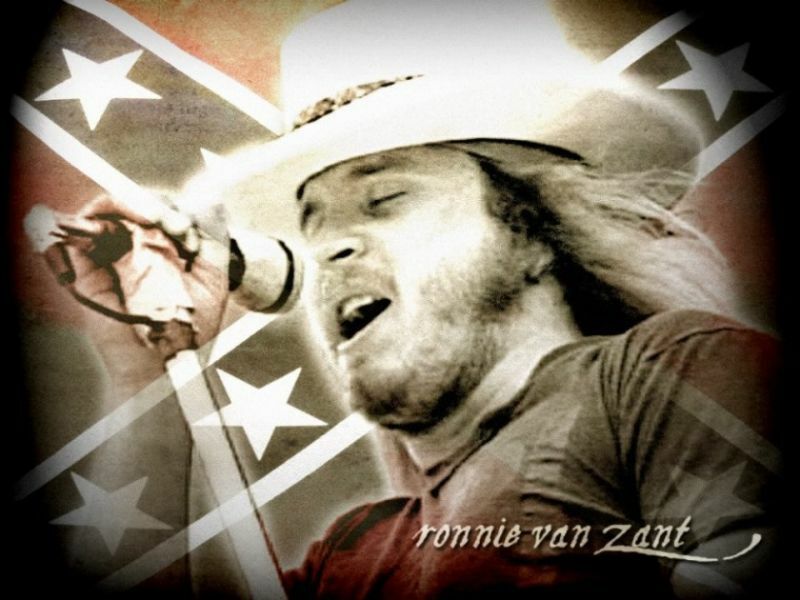 Ronald Wayne “Ronnie” Van Zant (January 15, 1948 – October 20, 1977) was an American lead vocalist, primary lyricist, and a founding member of the Southern rock band Lynyrd Skynyrd. He was the older brother of the founder and vocalist of 38 Special, Donnie Van Zant, and of current Lynyrd Skynyrd lead vocalist Johnny Van Zant. So when the Bear would come to town, there’d be a parade. I left the South and learned how different people’s perceptions of the Southern Thing was from what I’d seen in my life……. Paul William “Bear” Bryant (September 11, 1913 – January 26, 1983) was an American college football player and coach. 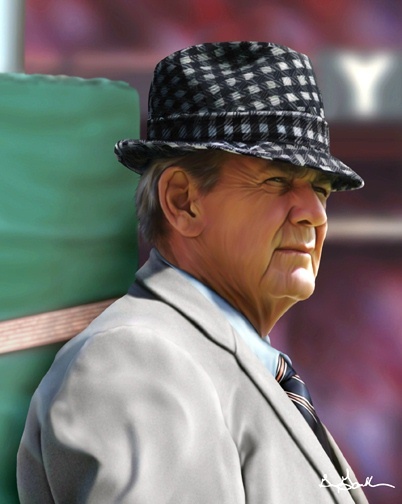 He was best known as the longtime head coach of the University of Alabama football team. During his 25-year tenure as Alabama’s head coach, he amassed six national championships and thirteen conference championships. Upon his retirement in 1982, he held the record for most wins as head coach in collegiate football history with 323 wins, a record broken by John Gagliardi in 1996. ……….. He was also known for his trademark black and white houndstooth or gingham hat, deep voice, casually leaning up against the goal post during pre-game warmups, and frequently holding his rolled-up game plan while on the sidelines. And Wallace had started out as a lawyer and a judge with a very progressive and humanitarian track record for a man of his time. But thanks to George Wallace, it’s always a little more convenient to play it with a Southern accent. So this song’s going to take place in Hell, told from the Devil’s point of view, as he does what any good Southerner would do when company’s coming. He brewed up some good sweet tea and whups up some Southern hosptality for the arrival of the new guest. 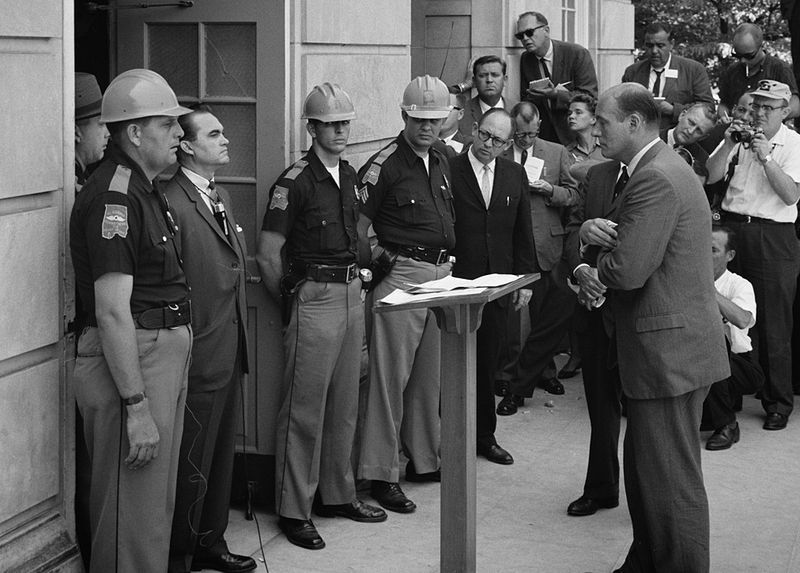 George Wallace standing @ doorway of the University of Alabama ……….. you know the story……. Really like and respect DBT but if I found this song on my cd I’d want my money back. Nothing new here except grouping those 3 together. There is no need to feel sadness for those who believe and know for certain that God is not a liar or a fool and neither is the Lord Jesus Christ. Yes sir, there most certainly is a hell, and a heaven. But heaven is not a place to play golf and attend rock concerts. Heaven is Heaven because God dwells there in all of His Holiness. Hell is hell because God is not there in His abiding presence It is not so much our evil deeds that send us to hell, but not believing God. If a person does not believe, they can ask God to help them to believe the Truth. there can be no argument that I am aware of that can convince a person about such things, and no argument that can convince a person with a deep personal conviction that such things are true. 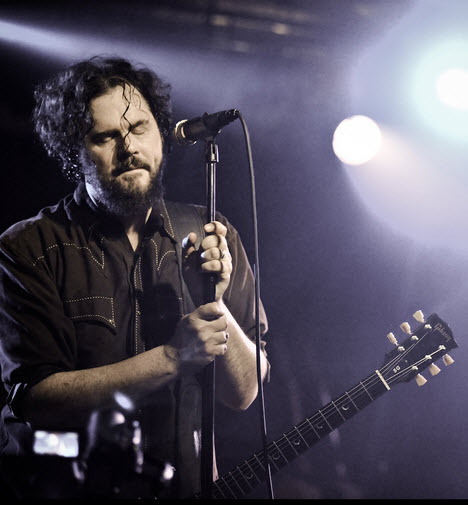 What matters are song lyrics in the fasce of such weightier and eternal issues? I urge you to at least seek God and His Truth in His Word. not everybody that says they are a Christian is one, and the phony ones can cause much damage. It won’t hurt to ask and seek and knock, even if you are sure now. 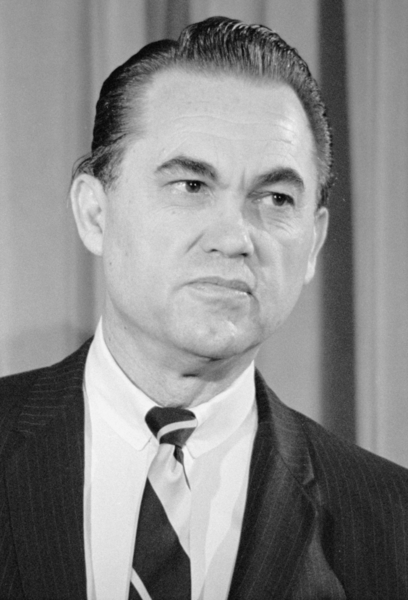 Your comment about George Wallace being in hell was extremely offensive. I have no idea of the man’s eternal state and neither do you. that is between a man and God. God, through the Bible, made it clear that the only way to salvation was through His dear Son, the Lord Jesus Christ. Sometimes it seems obvious to men who is or isn’t saved from their sins, but men are often wrong. The liberals in this country and elsewhere who have an obvious hatred of a just ad holy God, and hatred for His believing Christian followers, are in far more danger of damnation than a man who supported segregating the races, particularly in Wallace’s times, which were far different than they are now. Please be careful about whom you want to place in eternal torment, it may well be that you are in need of the Savior yourself. I was just quoting the lyrics written by Patterson Hood. But I like the lyrics off course, hence the post. BTW I don’t believe there is no Hell or in eternal torment.. and I only feel sadness for people who do. I’m not a religious person at all.